Ubisoft has struck gold with a multiplayer online shooter that has more depth than any of its rivals and rewards persistence and friendships. When we first got our hands on the final version of Tom Clancy's The Division, we couldn't actually play it. That was because the review copy arrived before the servers were switched on. We had to wait until the Australian midnight opening started on its release date down under before we could fire a shot in anger. Thankfully though, ever since it did, we've found ourselves entranced by the rich game world Ubisoft has made of a devastated New York. And we've now played plenty enough of the game to give you our final verdict. To be honest, we were already under that impression, having played the beta version a fair bit at the Xbox Spring Showcase in the US a couple of weeks before release. We also spent a good five or so hours straight on the game on day one in order to gain an initial impression. That proved a positive experience, with our minds made up at that point that it was crammed with potential. The only question mark that remained was whether there was longevity in its bones. Would missions become monotonous and a grind, or would it hold our attention beyond the first few days' play? We can safely say it has. And that's in no small part thanks to excellent role-playing elements and character progression. When we played the beta at the Showcase event, we were thrown in at the deep end with a character we hadn’t generated, a control system we hadn’t been informed about and with no plot preamble whatsoever. This is worth discussing though as it is testament to the gameplay design that we found our feet in the game surprisingly quickly. Even without any kind of tutorial, we very quickly learnt what we had to do and how to do it. With the full release available to us, we got to experience character creation and tutorial missions in much greater depth. The Division has a large role-playing element to it, with upgrade paths, skills, perks and modifications to improve and customise your character. Clothing can also be changed later to add individuality. The initial character creation tools are minimal though, with a smattering of different face types for male or female avatars, and a handful of hair options for good measure. Body types cannot be changed. Initial weapon load-outs are standard too, but soon expand as you level up and have access to increasingly more powerful firearms. You will also find or buy modifications throughout the game to improve each gun’s ability in some way - such as stability or reloading time. And those, coupled with your own character's statistics make a massive difference during firefights in the field. There are plenty of ways a player can take their character too. As experience mounts and you level up, you get to award yourself different skills, talents and perks. These are based on medical, tech and security remits and you can opt to follow one path more than another or spread the balance. Skills also award some neat abilities, such as sticky bombs, turrets and the ability to see enemies through objects and walls. And by the time you reach the higher levels, you'll have a healthy variety of abilities to use in the field. They make each character rather unique by that point - further reinforcing The Division's role-playing roots. The Division’s graphics are splendid. They are grand and detailed, superbly setting the scene for the chasing street and interior battles to come. They are perhaps not as impressive now as when the game was first announced considering there are plenty of spectacular-looking games on the current gen consoles these days, but the apocalyptic, virus-ravaged New York is familiar and rich enough to make sense in context. The abandoned cars, barricades and other detritus outside is not only aesthetically correct, it’s cleverly placed to provide plenty of areas for the duck and cover gameplay mechanics. Building interiors are in a similar state, with gurneys and tables cunningly placed in often sprawling locations to provide respite from volleys of bullets. We would have liked for there to be some form of environmental destruction beyond the mere aesthetic. Or the ability to shift or interact with the surroundings in a way that didn’t just involve playing hide and seek, but we can see why the decision was made to keep everything static. It benefits skirmishes, albeit at the cost of realism. Another slight groan is that you will often notice texture pop-ins – on the PS4 we tested the game on, at least. When you are running down a street for example, you might notice writing on abandoned police cars to be blocky or blurry, only getting clearer as you stop to look for a second or two. It doesn't hamper gameplay enjoyment and is clearly the result of so much happening on screen at once, but it does distract from the overall beauty of the game a little. During both the beta session and in the full release version, we saw several days’ transitions for lighting effects purposes, having completed side missions at night and day, with dusk, etc, thrown in for good measure. Different weather effects were thrown in too. Even with the barren streets and buildings, there’s artistic quality to the city that reminds of The Last of Us. The Division doesn't play like The Last of Us though – it's not as linear for a start. And thanks to a smartwatch-style doohickey every supercop has strapped to their wrist, the vistas are constantly augmented with overlays – details and directions. For seasoned players, certain AR graphical pointers can be turned off – such as the GPS navigation system. But for casual gamers and those starting out, these are why it is so easy to leap into the game without little preamble. The AR navigation line snakes its way through streets to mission points marked on the map or, if you are in building on a mission itself, the next objective. You cannot get lost, basically. Not unless you want to. In addition, whenever you are next to an item you can pick up, a barrier you can duck behind, or an object you can manipulate or use, you get a button indicator showing exactly what you need to press. Who needs the tutorials eh? There are a fair selection of different mission types, which we've played through on our own and with a ragtag bunch of online acquaintances. Teams of up to four players can co-operatively take part in the missions, which you can make up in the safe houses dotted around, from friends or simply by checking out if others are available whenever you arrive at a mission start point. Thankfully though, we didn’t feel punished by tackling objectives on our own (as much as we do in, say, Destiny). Taking on main and side missions solo is a harder pursuit for sure – even if you are sometimes helped by AI JTF agents – but there’s something to be said for giving yourself that kind of challenge. You can also up the difficulty level for tasks too, before you start each one. Groups can also set a lower or higher difficulty for each mission while matchmaking. As well as main story missions, which initially help expand and improve your base of operations, there are plenty of side missions dotted around the map. We’ve found them to be of fairly standard types and some can be quick to complete, including the hostage rescue and a base assault missions. That helps as, with the persistently online world, you won’t be able to pause and pick up later. If you want a quick bout of The Division, these are there for exactly that purpose, it seems. They also help you or your base level up more quickly. In gameplay terms, Ubisoft has presented a game that doesn’t really break much new ground, but works because of the familiarity. The duck and cover mechanics of The Division are essential and standard for many third-person shooters. Where this differs from many of its peers is that enemies are genuinely hard to take down. Thanks to the role-playing elements, enemies have stamina points rather than a set number of hits, so depending on what weapon you use, the modifications and your own skill set, each hit will cause a different amount of damage – which you see in numeric manifestations during battles. Enemies also hide behind cover and some have armour, so those factors are taken into account too. We’ve had to restart missions plenty of times, even when becoming better at the game because we’ve been overwhelmed by difficult to beat waves of bad guys who don’t just fold at the wave of an SMG. And that’s the way we like it. It’s just as well really as the game can be a bit one-note in its tone and gameplay mechanics. Working out ways to dispatch foes using the talents and tools at your disposal is just about it. And the third-person duck and cover mechanics, while brilliant, offer few opportunities for freestyling. Missions have different objectives and goals, and exploration around New York is rewarded, but if you don’t like long, at times tricky armed battles, you’re barking up the wrong tree. Throughout our sessions we’ve had no issues with the servers whatsoever. Unlike a game such as Destiny, once you’ve left a safe house or base of operations, The Division is effectively a single-player game until you join others purposely. You don’t get thousands of players running around the streets of Manhattan or getting in the way while you rescue a doctor, for example. It reduces the load and we’ve not had the server chuck us off once yet. That's of particular worth when in The Dark Zone, the enormous central area of the Manhattan map shaded red for danger. It is The Division's PVP area yet doesn't really set players against each other in a traditional sense. Instead, there are hard-to-beat enemies to be found lurking within its streets, with high value rewards for taking them down. That encourages team work and more pairing up, but where The Dark Zone gets particularly interesting is that to reap the rewards and the best items you've picked up from the corpses of bad guys, you have to escape the zone again. Thus you become the prey for other players to steal your hard stolen loot before you extract. It's great fun but tricky, especially for unseasoned players. Indeed, the game warns you away from specific areas of the Dark Zone if you haven't achieved a certain level yet. Indeed, it suggests you don't even set foot in there until you're level 10 – but where's the fun in that? It can be a cruel place for newbies, with players turning on each other at the drop of a hat, but very rewarding if you manage to make it out with an item you can't find anywhere else. We also found it to be more satisfying to play than the Crucible in Destiny, for example. We die a little less often, and even when we do it's more of a laugh. 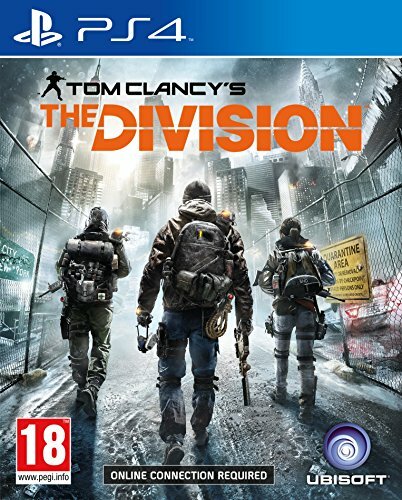 When we previously posted a "first impressions" review our only big concern is over longevity, but we've spent numerous hours trudging the streets of the New York from Tom Clancy's imagination and we're yet to grow bored. Indeed, even with repetition in many of the side missions, we've used them as training grounds for alternative strategies. The Dark Zone also throws something fresh and interesting into the mix. Yes, you can just take on and take out other players for the fun of it, but the weapon-fuelled game of tag increases the tension and pleasure. Where we're most pleased with The Division as it stands is that it plays very well as a single-player game – almost as well as with companions. We've often leapt in to tackle a story mission without the aid of a partner or two, which often proves tricky in other open world shooters, and appreciate the challenges Ubisoft offers us. We'd be lying if we said we'd completely savoured everything The Division has and will have in future, but that's part of its charm. We're very much looking forward to continuing down our path of discovery.